NAIROBI, Kenya — In a pointed first message to Kenya’s newly elected leaders, United States Secretary of State John Kerry congratulates Kenya but doesn’t once mention the president-elect, Uhuru Kenyatta. 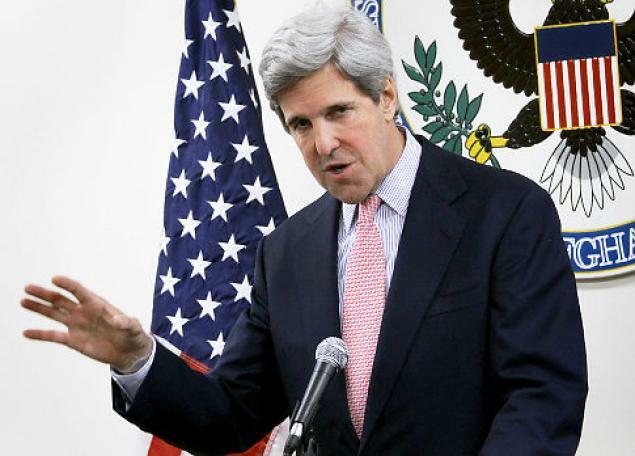 Kerry’s message Saturday congratulated Kenyans for voting peacefully last Monday. Kerry said foremost for the U.S. was the desire “to see the will of the Kenyan people expressed freely and fairly.” He urged parties to peacefully address any election disputes through the courts. Kenya’s election commission on Saturday named Kenyatta, currently Kenya’s Deputy Prime Minister, the winner with 50.07 percent of the vote. The U.S. has previously warned of “consequences” if Kenyatta wins. Kenyatta faces charges of crimes against humanity at the International Criminal Court for helping to orchestrate the vicious post-election violence that killed more than 1,000 people in 2007-08.